Are you getting married in Devon? It's no surprise that more and more couples are choosing to come here to the West Country to ‘tie the knot’. Need a local Devon wedding services directory? We have lots of information on civil venues, reception venues, choosing the rings, catering, photographers, videographers, flowers, and car hire. 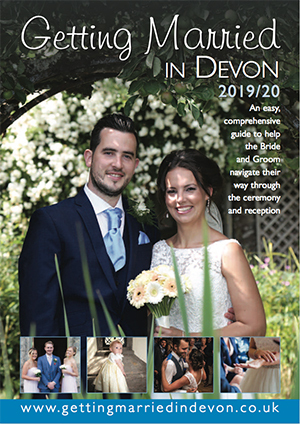 This Devon wedding website directory, has been designed to compliment our long established, free, marriage guide booklet Marriage & Civil Ceremonies in Devon. Please be sure and browse thoroughly using the drop down menu above.